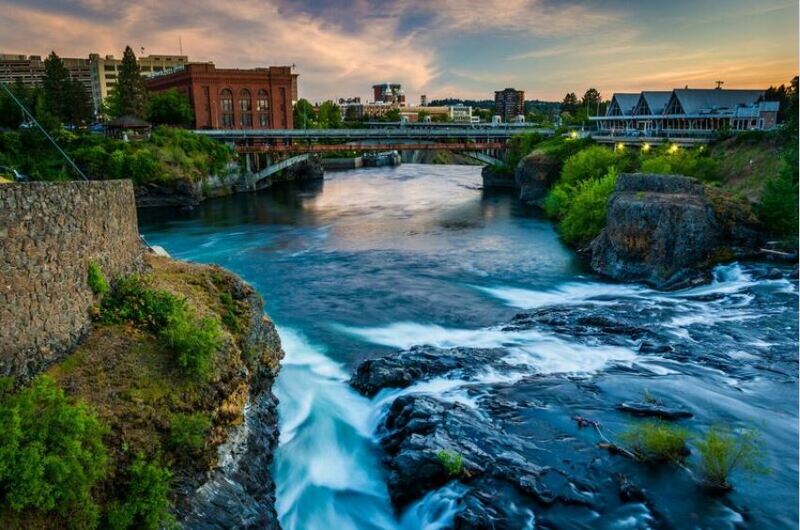 Spokane is touted as one of the most beautiful and future-forward cities in North America. While it may seem like the simplest solution for a utility, replacement programs for risky aging mains are often far more complicated and expensive than anticipated. Seldom is the original estimate close to the final price tag. As the City of Spokane (City) recently found out, high risk is often driven by a lack of data or poor data. Moreover, age rarely correlates with condition. According to the American Society of Engineers, 96 percent of underground pipe is good condition. Of the remaining 4 percent, only one percent has significant damage that warrants replacement. The challenge is to determine the location of the individual damaged assets. 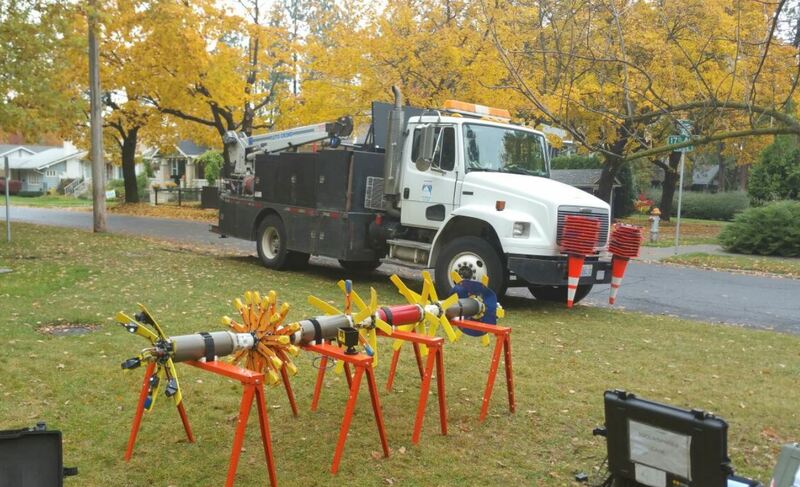 The City of Spokane recognized this fact going into a condition assessment program for two of their critical aging transmission mains, the 24-inch Manito Transmission Main and the 18/24/30-inch 57Th Avenue Transmission Main, which run through residential and commercial areas, and a historic park. Together, the pipelines service two of the City’s pressure zones, which have a combined annual demand of approximately 21 percent of water to the City’s entire water system. The mains in question were constructed of steel in the 1960s. For this material, the failure modes are most often related to corrosion, corrosion combined with cyclic loading, manufacturing or construction/third party damage. The mains assessed were constructed of steel in the 1960s. First step: gathering condition assessment data. The first step in understanding a pipeline is to evaluate the design of the pipeline under actual internal pressures, external loading and current design standards. Managing these critical assets takes a confident management strategy, which includes gathering condition assessment data and evaluating the results using advanced engineering analytics. As the scope of the proposed assessment was broad, the City retained the services of Pure Technologies (Pure) to deploy a multitude of technologies to determine the condition of the mains. A 24-detector PipeDiver tool was deployed for an electromagnetic wall thickness evaluation. Recommended internal inspections consisted of SmartBall® acoustic leak detection and PipeDiver® electromagnetic wall thickness evaluation and video recordings. At the same time, Pure used transient pressure monitoring to determine hydraulic loading conditions of the pipelines. 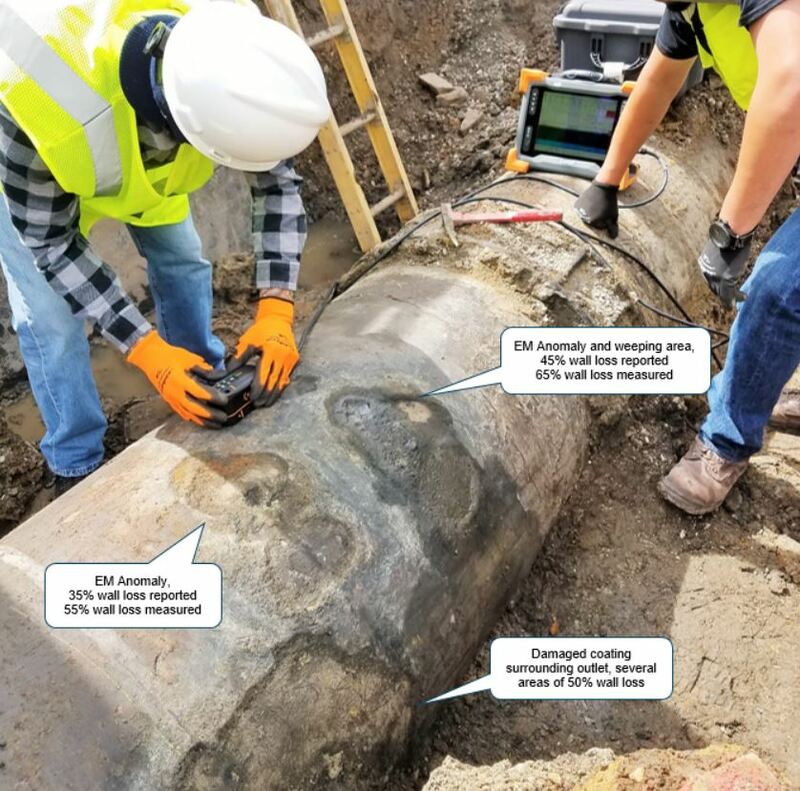 In addition, Pure performed external observations using Pulsed Eddy Current (PEC) and Ultrasonic Thickness (UT) Gauging technologies during excavations of the 57Th Avenue Transmission Main. Pure also conducted a structural analysis to determine the wall thickness required if the pipelines were designed today under actual internal pressures and external loading. Pure also performed three-dimensional finite element analysis (FEA) performance curves to determine the combination of corrosion depth and length would exceed the Yield Limit of the steel. Finally, Pure also performed remaining useful life (RUL) analysis of the 57th Avenue Transmission Main to predict wall loss degradation rates and recommend re-inspection intervals, as part of its decision intelligence solutions. Indefatigable crews faced night-time work with traffic control, relentless rain and sloppy conditions. Project challenges included non-existent lay sheets. The project was not without challenges, starting with poor data — an outdated plan and profile drawings and non-existent lay sheets. 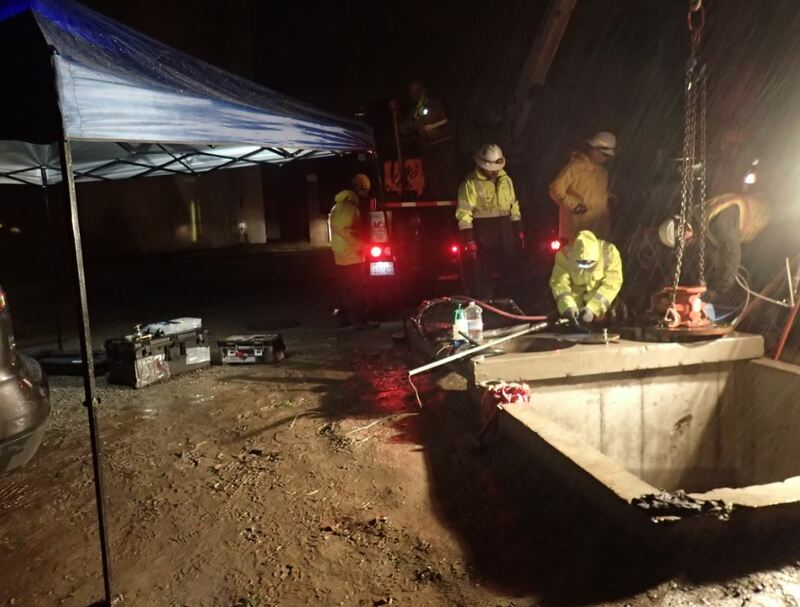 For the inspection, crews also faced a survey route with no existing features for tool insertion and extraction, two inline 24-inch butterfly valves, nighttime work with traffic control, and rain. Lots of rain. While no one could anticipate all the challenges during the planning stage, the engineering experience of the project teams and collaborative dialogue between Pure and the City ensured a working solution for most unforeseen events, with contingencies in place. 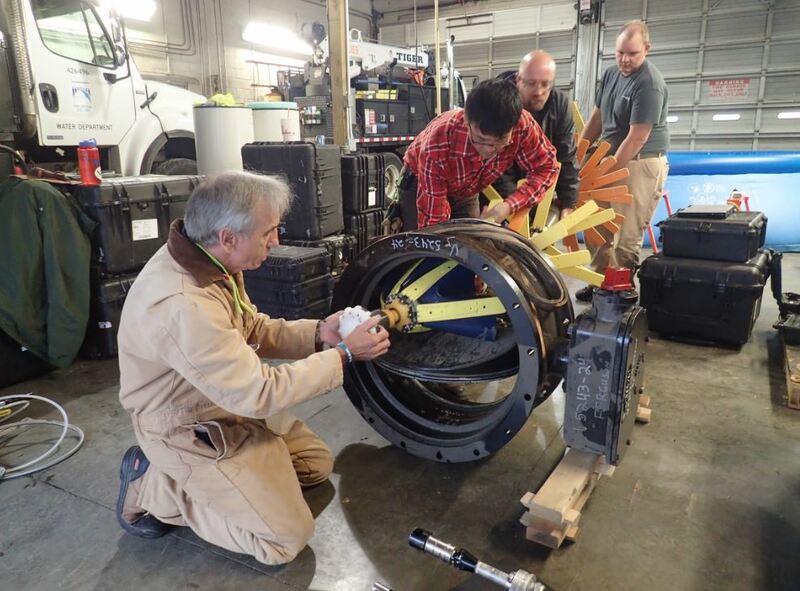 To ensure a smooth execution, the City provided a similar 24-inch butterfly valve to test the PipeDiver passage. As mentioned, lots of pre-inspection discussion occurred to minimize risk of the free-flowing 24-detector PipeDiver tool getting stuck at the butterfly valves (BFVs). The City was prepared to dewater the line if necessary. To mitigate additional risk, the City provided a pool in their garage to setup and test the inspection equipment. They also provided a similar 24-inch BFV to test the PipeDiver passage. All the advance planning paid off. The inspection occurred over 10 days and was executed flawlessly, in spite of the damp weather conditions. Pipe damaged from suspected backhoe bucket teeth during previous excavation. Two pipes excavated to validate inspection results. For the Manito Transmission Main, 202 pipes were inspected, with zero leaks and zero electromagnetic anomalies detected. For the 57th Avenue Transmission Main, Pure inspected 282 pipes. Analysis indicated one (1) leak and three (3) pipes with electromagnetic anomalies. Taken as a whole, analysis indicated 99.4 percent of pipes with no corrosion and 0.6 percent of pipes with anomalies indicative of corrosion. Based on the EM report, two (2) pipes were excavated to validate results and provide data for a Remaining Useful Life analysis. A third pipe was reported to have corrosion anomalies but was not excavated because of its location the middle of a busy intersection. 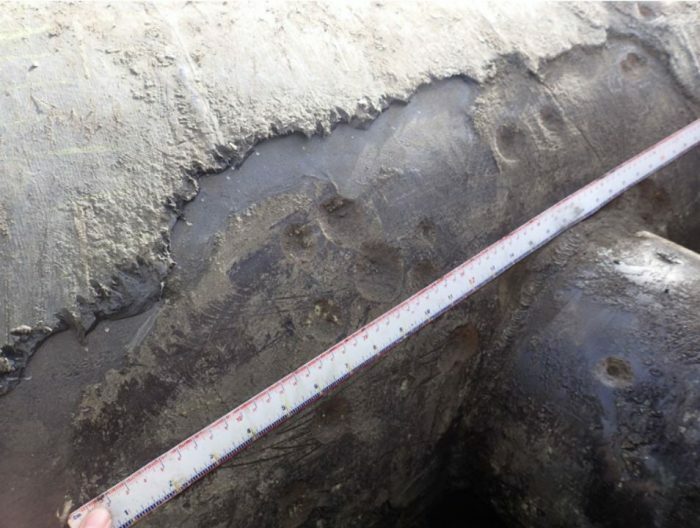 Upon excavation, the pipe’s coating was observed to be damaged, which appeared to be caused by bucket teeth from a backhoe during a previous excavation to repair the dresser joint. One of the damaged areas matched the location of the reported EM anomaly perfectly and Pulsed Eddy Current measured 17% wall loss while PipeDiver reported 20%. No wall loss was found at the other areas of damaged coating. 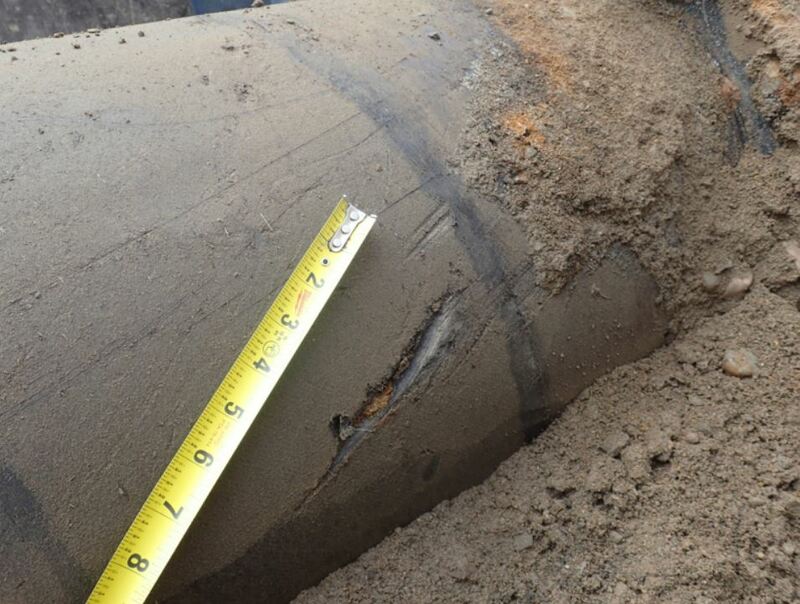 The City applied a mastic coating to all areas of damaged coating before burying the pipe. Two pipes were excavated to validate results. Both pipelines originally scheduled for replacement at expected cost of $7 million. The City of Spokane originally scheduled both pipelines to be replaced at an expected cost of $7 million dollars. After inspection project expenses, the remaining funds can now be applied to other capital projects, which makes this a good news story. Moreover, with the analysis in, and the repairs made, the City of Spokane now has confident information to plan and move forward with periodic inspections.